Jerusalem Botanical Garden blossoms with flora – J. Its aims are research and education, the introduction of new plant life and its observation, and the development of forestry, horticulture and related industries. 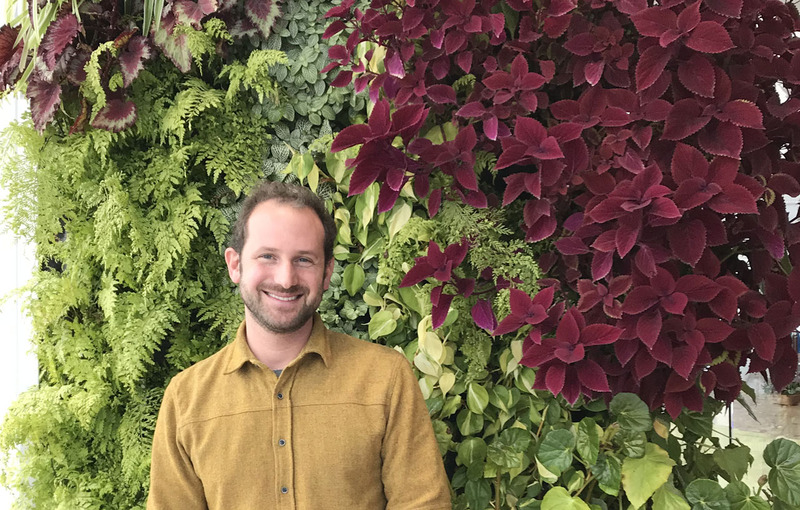 For most of its life, the garden has been watched over by Michael Avishai, now the science director, who is passionately devoted to every tree, shrub and herb growing there. The garden, in fact, could only tell its story in Jerusalem, where over 1,000 plant species grow naturally. The diversity is a result of Jerusalem's geographical positioning on an ecological border. On one side of a hill there might be snow while on the other, an entirely different ecological niche and warmer habitat. This is what makes possible the garden's unique design according to geographical sections. Australian eucalyptus trees and shrubs flourish near North American wetlands, while Turkish oaks rise not far away. Only about half of the garden's 60 acres are currently cultivated, but new projects have progressed in every area since the garden' s jump-start in 1981 with a new injection of funds from Jewish National Fund. Cooperating with more than 1,000 sister facilities around the globe, the garden grows plants from every corner of the world and transplants the resulting seedlings to see how well they can be acclimated for local use. The layout itself is divided into six regions: Central Asia, Mediterranean, Europe, South Africa, Australia and North America. It also maintains a living gene bank to meet public needs for developing Israeli horticulture and reforestation. The garden is a refuge for plants that are threatened by the country's rapid development. Where once there were open spaces, now airports, industrial parks and residential developments sprawl, and the garden has become home to the resulting green refugees. The yellow autumn daffodil, for instance, was saved from local extinction by being transplanted to the Central Asian section. But, more than a living museum for threatened plants, the garden is a green innovator. Take composting, for example. For years Avishai lectured on the advantages of mulching and recycling garden waste materials. The process, extensively used in other countries, was not practiced in Israel until a few years ago, when the garden managed to purchase a shredder for gardening waste. Recently, students from the Hebrew University's Green Coalition approached Avishai and director Yitzhak Ayalon about starting a composting project. Instead of purchasing composted material each year, suitable household garbage such as vegetable peelings and other organic matter will be collected at the Givat Ram dormitories and brought to the garden. If the program works it will be expanded to dorms on the Mount Scopus campus as well. Another innovation is a new medicinal herb garden, funded by a donation from a university gardener. Yehuda Kirshner, who worked in the botany department for 40 years, donated his entire savings of more than $250,000 to the Jerusalem Botanical Garden. Here herbs from all over the world will be planted, with the emphasis on those from the Mediterranean region. The garden is designed to provide a sensory experience of herbs for seasoning and medicinal purposes. The Dworsky Tropical Conservatory, built in 1985, is also considered an educational tool and houses Israel's largest collection of tropical plants. Young people can learn about the source of many of their foods, he says, being quick to point out that three-quarters of the earth's plants are tropical. "Children no longer know where their food comes from," Avishai bemoans. The rice plant and the banana tree are there to acquaint the younger generation with the process of life. It is important, he emphasizes, to learn about tropical plants. "Many tropical plants are still completely unknown, while many others are becoming extinct due to the devastation of the rain forests. This will affect our lives." Garden staff have been designing a database and entering every cultivated and wild plant in Israel as a research tool on the Internet. Avishai hopes to have the first section, on biblical plants, online within six months, with the rest of the database up soon after.